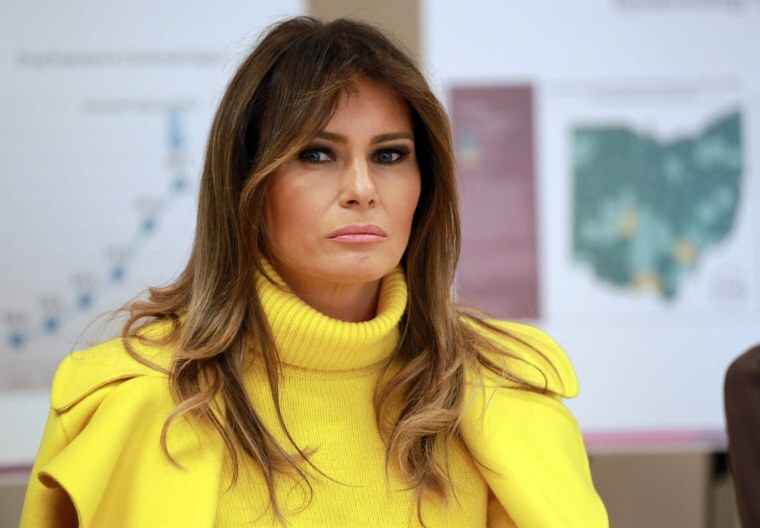 WASHINGTON — First lady Melania Trump has cut ties with a top aide whose firm was reportedly paid millions of dollars by President Donald Trump’s inaugural committee, a spokeswoman for the first lady’s office said Tuesday. The first lady has “severed the gratuitous services contract” with Stephanie Winston Wolkoff, the spokeswoman, Stephanie Grisham, confirmed to NBC News. "We thank her for her hard work and wish her all the best," Grisham said in a statement. Wolkoff’s termination comes two weeks after news emerged that the president’s inaugural committee paid nearly $26 million to an event planning company that was reportedly founded by her. The 58th Presidential Inaugural Committee (PIC) — which organized Trump's inauguration last year and was led by Tom Barrack, a close friend of the president and a financial backer of the campaign — paid a company called WIS Media Partners $25.8 million for "event production services," tax returns released earlier this month showed. The New York Times reported at the time that WIS Media Partners was founded in December 2016 — one month before the inauguration — by Wolkoff, a former fashion executive and event planner who'd previously been best known for planning the annual Met Gala. Melania Trump later hired Wolkoff as a senior adviser. At the time, a spokesperson for Melania Trump told NBC News that Trump "had no involvement with the PIC, and had no knowledge of how funds were spent." The first lady's office added then that Wolkoff is a special government employee for the office and is unpaid. The Times also reported that Wolkoff was personally paid $1.62 million of the $25.8 million. The group also donated about $5 million to charitable organizations. Hallie Jackson reported from Washington, and Adam Edelman reported from New York.